The success of an individual or organization can be seen by what they believed in. No matter what goals a person want to achieve in life, it is possible if he/she has pure motive, right desire, and persistence to take actions. Same way what drives us to unbelievable success this 2018. 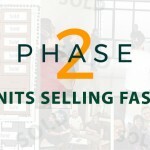 From the success of our 1st project with 17 units sold, we still continue to thrive and expand. 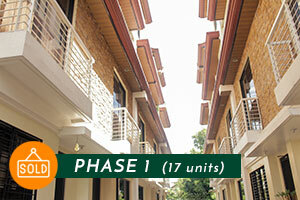 With a big vision, our management, started developing Phase 2 of 2017 that offers 27 units with much bigger spaces. Our beliefs brought us to abundance that connects to vast opportunities. 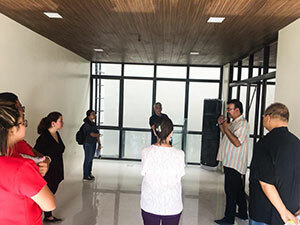 We’ve been connected to the right architects, interior designers and supportive contractors. The inspiring dedication of brokers and sales associates light up the industry. Therefore, the excellent and continual support of all teams ignites the management to work at their very best. As a result, we’re reaching the hearts of many Filipino families who would like to live on our noble mission. We continually receive lot of inquiries over the phone, emails, website and social media. 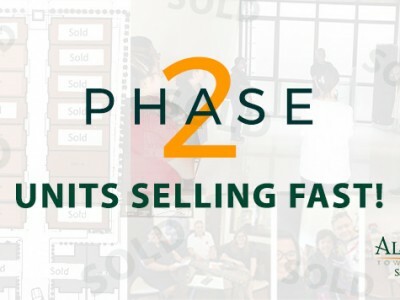 Client appointments are left and right every single day to visit the model unit, know about the project details and its available mode of payments. With the results we’re getting, this gives our operation continuous growth and support. All factors involved with the success we accomplished are because of these 3 principles. As human, we put more value to the things we bought especially if it’s for our love ones. On the other hand, we also like buying something more valuable than the price it offers. 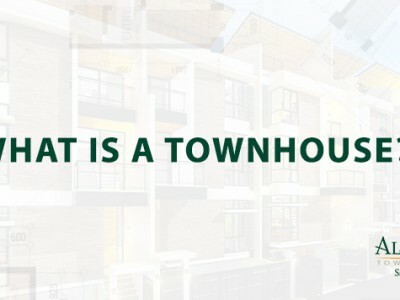 Our intention is to provide valuable townhouses that are high in quality, distinctive design, and something the homeowners can be proud of. 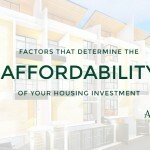 When it comes to deliverables, homeowners took advantage of it because of the affordability compare to what is available in the market. 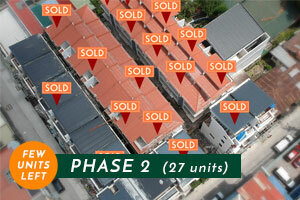 All hard work and dedication gives massive noise in the Philippine real estate industry. Time is the essence to all of us, especially if we spend it for our family. Having more time with our love ones gives us the chance to have precious moments with them. 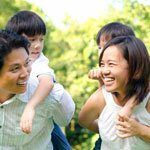 Our company wants to provide that opportunity to Filipino families. 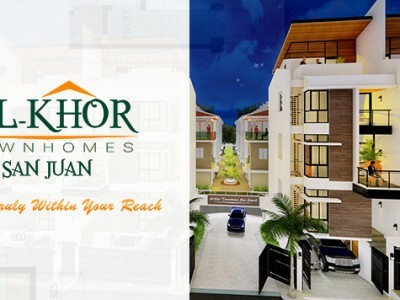 One of the main objectives of Al-Khor is to develop townhouses only in the heart of Metro Manila, San Juan City. We value the time of our homeowners, which is why the location is within proximity to the places they need to be in. 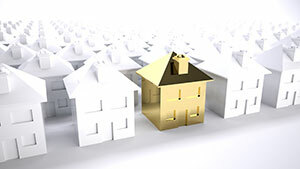 Offering more routes within the metropolis, this is beneficial to homeowners who are working or studying near the area. We all know how busy Metro Manila is, but we cannot hide the fact that most Filipinos would like to live here because of many opportunities it can offer. 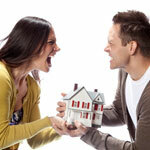 We have in mind developing homes where people can relax and enjoy. Which leads us to the last point. 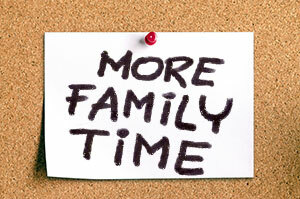 Spending time with family is very important. 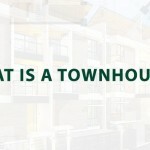 We somehow want to contribute to the lives of our homeowners that’s why we choose this prime location. Nearby restaurants or cafes, shopping malls, amusement parks, supermarkets, and churches are some of the places we would like our homeowners to be near with. 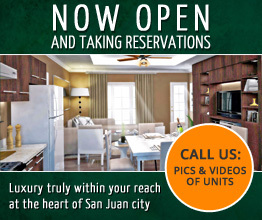 With all these available locations near the community, family can spend quality and quantity time with their love ones. It is true when our family bonds together, the quality of our lives becomes easy and enjoyable. 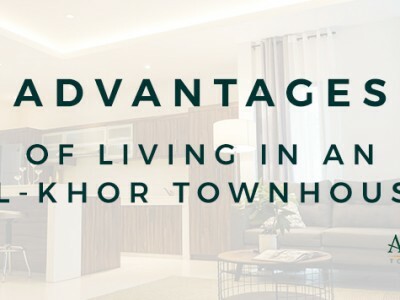 Whether the quality of the house or its irresistible location, the good spirit of our team leads us not only to success but also to be part of a fantastic lifestyle a modern Filipino family deserves.